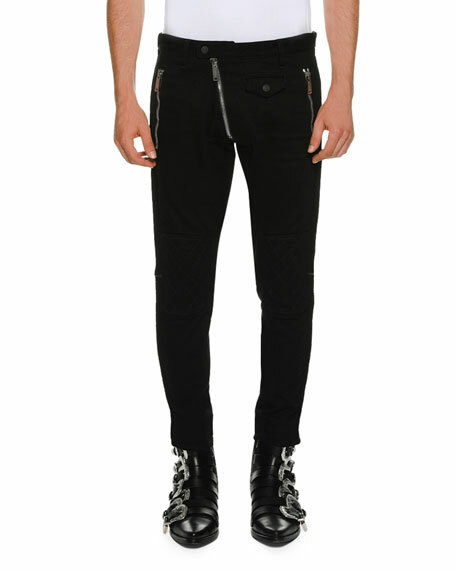 DSquared2 denim pants with biker-style embellishments. 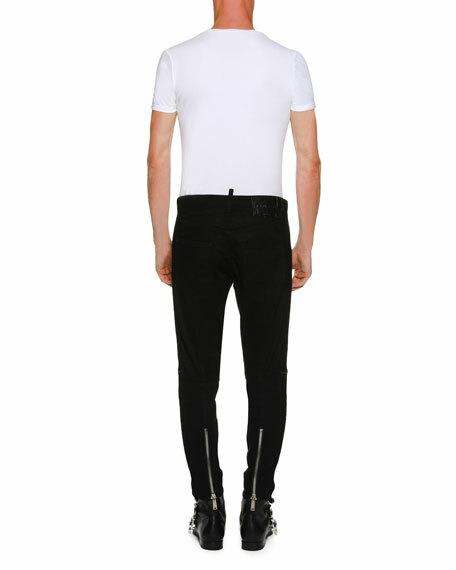 Four-pocket style; side zip front pockets. Asymmetric button/zip front; belt loops. For in-store inquiries, use sku #2472678.